I came. I learned. I met some new people. 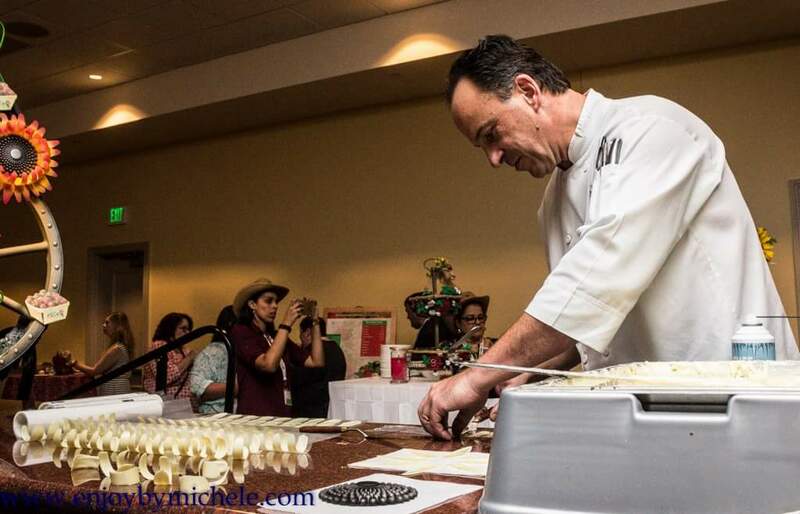 I also noshed on tasty goodness at this year’s Food Wine Conference in Orlando, Florida. 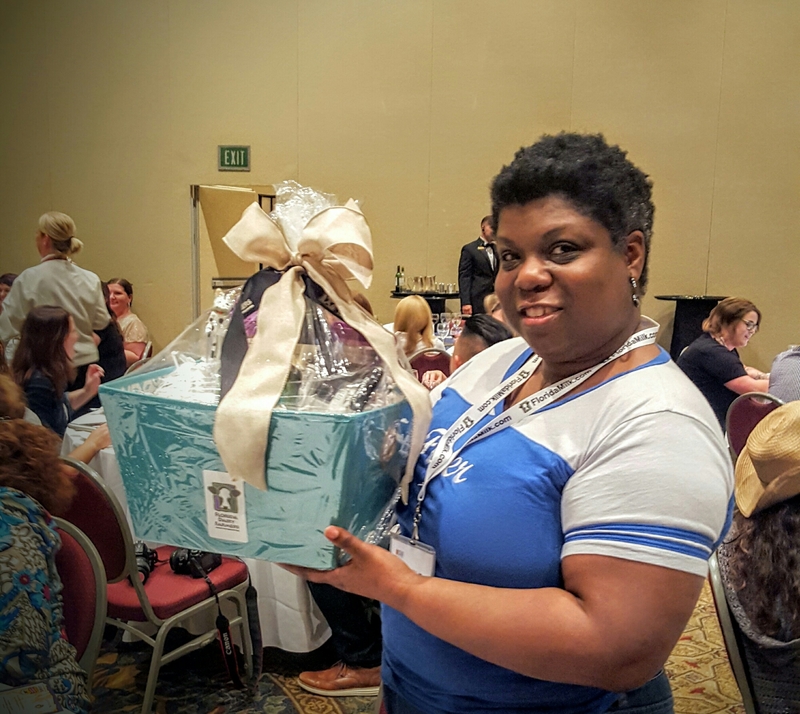 After making my way through a hassle-free registration process, I attended the Florida Milk Spa event sponsored by the Florida Dairy Farmers. 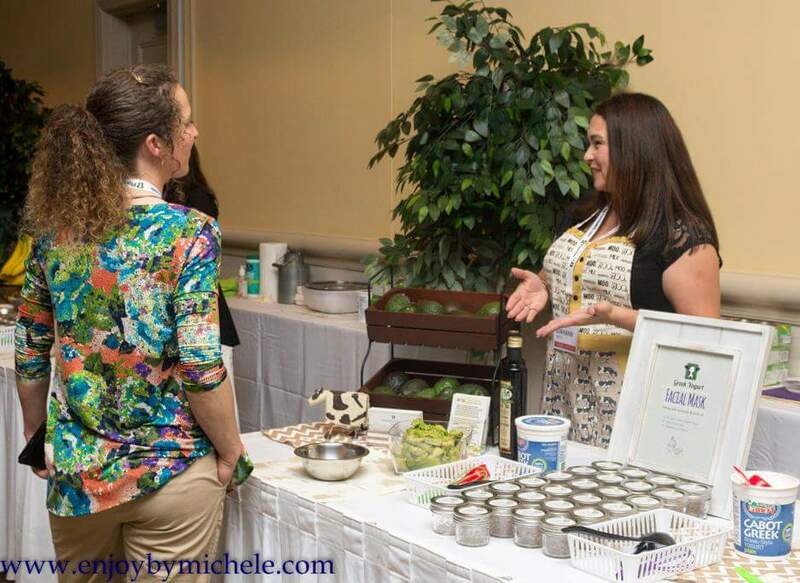 It was a really fun way to kick off the conference with a milk bar, massages, and a station to create your own facial in a jar from Greek yogurt. No more expensive trips to the spa for facials, I am doing my own. There was a little time between this event and the welcome reception, so what is a girl to do, but go back to her room and try out her new facial mask! 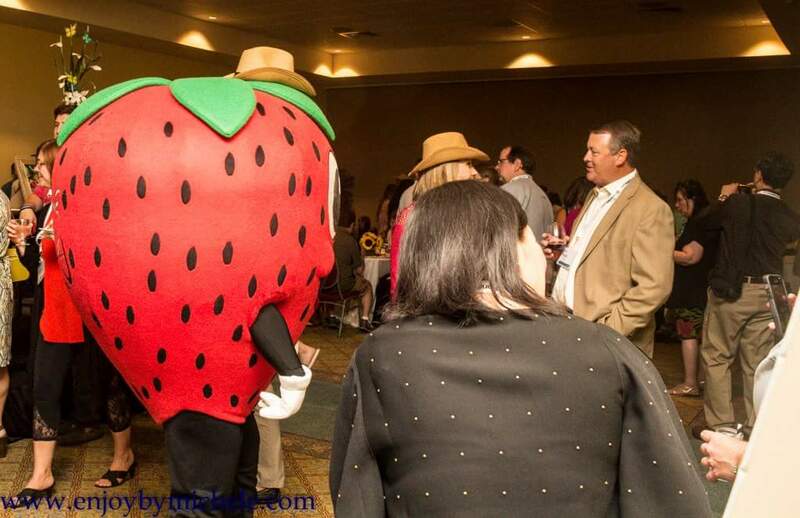 Feeling refreshed and flawless, I made my way back to the warm hospitality of the Florida Strawberry Growers Association. You get a strawberry, you get a strawberry, everybody gets yummy strawberry cupcakes and milkshakes made with Bacardi. I will definitely be adding that one to my adult beverage catalog. I was very impressed by the staff members of the hotel as we transitioned from the FSGA event to Taste of Rosen. I have been attending conferences for one organization or another for the last twenty years. There are tons of hotels with excellent restaurants and customer service, but when it comes to conference food, taste and quality are easy to loose. In fact, I have been to other food conferences, where the lunch or dinner served during the meal sessions have been absolutely bland. So imagine my surprise to experience a tasting event where everything was good. There were succulent meats from “A Land Remembered.” Cafe Osceola offered amazing sushi and crab meat. This tasting included something for everyone, especially with its mouth watering desserts. Hats off to the Rosen Shingle Creek chefs and restaurant staff. After an excellent welcome, the conference brought an agenda that included a keynote speech from Food Network Star, Donatella Arpaia. She described her journey navigating the restaurant business and partnerships with great words of wisdom. An in-depth discussion with event sponsors from Angus Beef, Florida Strawberry Growers Association, CK Mondavi Wines, Idahoan Foods, Cabot Farms, and Yon Family Farms was had. It is important to know where your food comes from and how it is produced. I thought the speakers were very thoughtful in their discussion about what buying local means and what goes into running a farm. The representatives were very open and approachable. This was probably my favorite segment of the conference. There was something for everyone interested in writing about food. Whether you were trying to grow your social media on Instagram or trying to grow relationships within the hospitality industry, there was something useful to take home as a blogger. Banquet, field trip, they had you covered. This was a conference full of useful information. There was some swag. I will definitely be using the to-go cup wine glasses, but this conference was truly about great tasting food. Hi Michele – Great meeting you during the Saturday lunch! You’re so right about the food at this conference. The hotel and stuff do an excellent job! Nice meeting you, hope you had a good time. I would definitely suggest that hotel to another organization I am in. We end up in Florida every so many years for our National convention. We also have regional meetings that could be hosted there too. I was impressed with the food for sure. Rosen Creek Shingle is a nice location.